New Chelsea Society is proud to be involved with organizations that do great work in the areas of affordable housing and promote the quality of life of our seniors. In keeping with our goal of providing active and close-knit communities of residents, we believe it is important for all of us to work to make a difference. 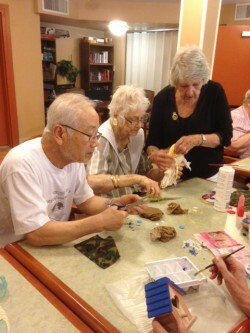 British Columbia Seniors Living Association. Committed to innovation, resident choice, and excellence in the seniors living industry. New Chelsea Society is a registered member and has received the BCSLA Seal of Approval. British Columbia Non-Profit Housing Association. Providing leadership and support to members in creating and supporting a high standard of affordable housing throughout British Columbia. New Chelsea Society is a registered member and attends BCNPHA conferences and professional development seminars. British Columbia Housing Management Commission. We’ve built relationships with these great organizations to help foster a caring and sharing society.